All of us are social beings and are ready for communicating right from birth. The skills that children develop over time are vital for them when they reach Reception age. By reading body language along with good listening skills children become more receptive to others and develop essential skills ready for reading and writing. This aspect enables the children to gain focus and maintain both their attention and concentration during activities and group times. Children develop the skills to listen to other while still continuing with the task at hand. It encourages children to listen attentively in different situations and respond appropriately. 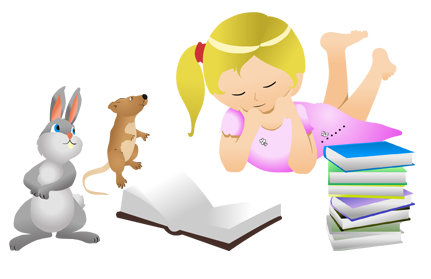 Children learn to listen to stories and begin to anticipate key events and how stories are structured. They are able to hear relevant comments, process these and act accordingly by asking relevant questions. This aspect enables children to process and fully grasp both verbal and nonverbal language. Children are able to respond to instructions, follow a story without pictures or props and listen and respond to ideas expressed by others in conversation. It encourages children to understand ‘how’ and ‘why’ questions about their own experiences or those seen in stories, allowing them to answer and respond confidently. This aspect explores how children extend their vocabulary, often grouping and naming different things, along with exploring the meaning of new words. Children develop the ability to use language to create roles and characters during their imaginary play, introducing storylines and narrative. Children are encouraged to use talk to organise their thoughts, sequence and clarify thinking, ideas, feelings and event. Children are able to express themselves effectively, showing an awareness of the person that is listening to them. They are encouraged to use past, present and future forms accurately when talking about events and experiences within their lives. At Toybox we encourage children to speak freely and confidently. Through group activities we encourage the children to listen to others and in turn they will be listened to when sharing their ideas. We use lots of talk with the children and explanation, in order to develop the child’s knowledge of new tasks and activities. Through this vital talk children build up their own understanding of situations and are able to transfer these skills when a problem may arise. We encourage imaginative play as children are able to create roles and develop their vocabulary through imaginative situations. The children may be recreating ‘mummy’s birthday party’ that they celebrated at the weekend, using past tenses and developing others experiences of what could happen at a birthday party. During our outdoor play we encourage the children to talk about what is around them in the environment. We might see some diggers that the children get excited about, we take picture of the diggers and make our own story about what the digger is doing and what they might be building.